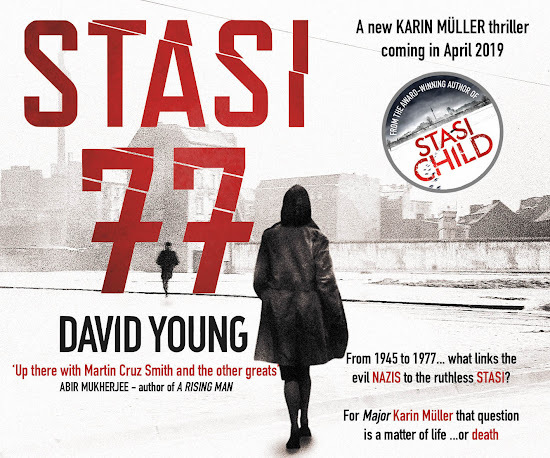 Stasi Child has been longlisted for the Theakstons Old Peculier Crime Novel of the Year award. It's one of only five debut novels longlisted, and is up against more established names such as Val McDermid, Mark Billingham and even JK Rowling (in her Robert Galbraith crime-writing guise). It means the book will be featured with the other longlistees (is that a word?) in all of WH Smith's bigger stores. Click here for the full details of the longlist.